Please note that this is only a guide as to where the driver may be at any one time. Mt Beauty and Euroa are available for daily pick-ups. Myrtleford pick-ups on Monday, Tuesday, Wednesday and Thursday only. The Melbourne to Falls Creek Bus Service stops at the Seven Creeks Hotel in Euroa if you wish to purchase your lunch. This is the perfect gateway to get to Falls Creek Alpine Resort. Flights are offered to Melbourne Airport with Qantas, Jetstar, Virgin, Tiger and Rex for domestic, plus a range of international operators. The other airport option to get to Falls Creek is Albury, on the NSW/Victoria border. This domestic airport is serviced by QantasLink, Virgin and Rex airlines. 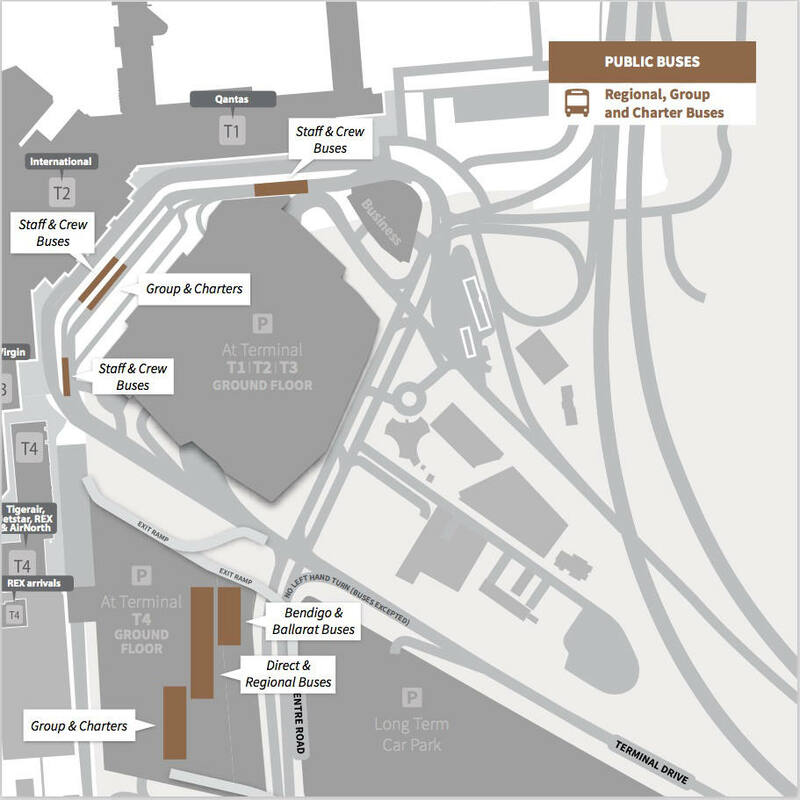 Falls Creek Coach Service travels via Melbourne Airport (Tullamarine), picking-up and dropping off passengers at Terminal T4 Direct & Regional Buses 5 min walk from T1&2. See Map below. Passengers need to specify a Tullamarine airport pickup/drop-off when booking. Travel time from the city is half an hour. 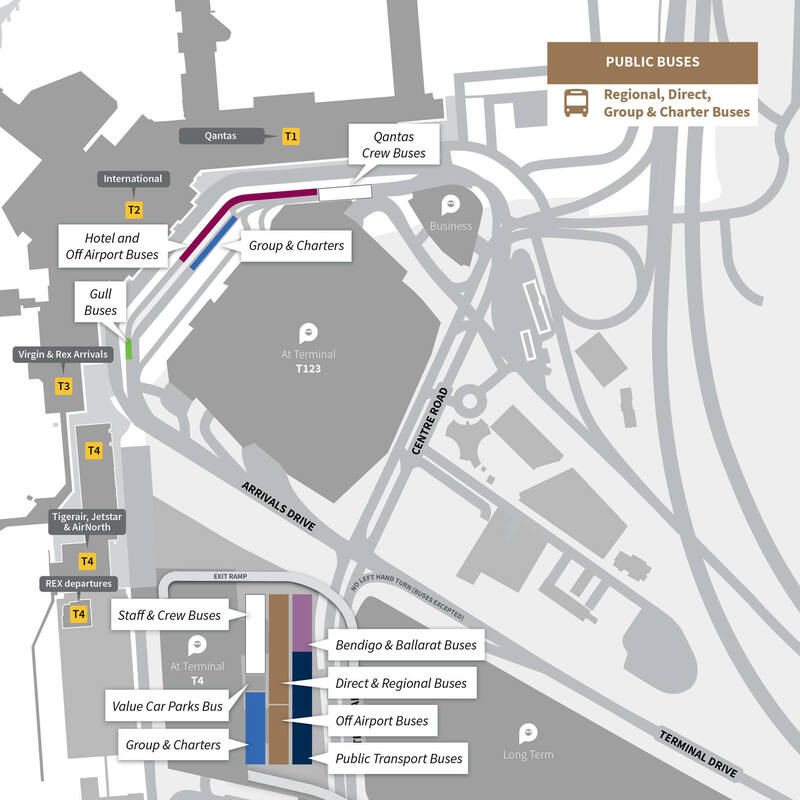 Located only metres from the terminals, PARKROYAL Melbourne Airport is connected to both the Domestic and International terminals via sky bridge walkways. With 276 spacious guest rooms and an entire floor dedicated to conference and meeting facilities, PARKROYAL is the perfect place to meet, rest or refresh. Located within a 400-metre walk of the Domestic and International terminals, Holiday Inn Melbourne Airport offers a relaxed atmosphere and stylish amenities – ideal for your stopover prior to your early-morning flight or after a late-night arrival. Only a five-minute walk from Melbourne Airport’s terminals and close to food and conveniences, Ibis Budget is perfect for that quick overnighter. Located in the Melbourne Airport Business Park, just minutes from the Melbourne Airport terminals and Tullamarine business precincts (4.8km). Quest Melbourne Airport is a brand new serviced apartment accommodation for business travellers or holidaymakers. 4 minutes from Melbourne International Airport. With seamless on demand shuttle bus service to the airport and long term parking next door. Expedia on-line booking service -Tullamaire Area. Booking.com on-line booking service-Tullamairine area. Falls Creek Coach Service does not travel via Avalon airport. 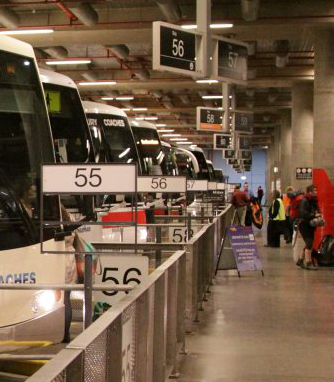 Passengers wishing to connect with a Falls Creek Coach Service bus must make their way to Melbourne, Southern Cross Station. This service is the Sunbus. Journey takes approx. 60 minutes from Avalon to Southern Cross Station. Sunbus also returns to Avalon Airport from Southern Cross Station. Sign up for our mailing list to receive all our Special Offers directly to your inbox.